Authoritative analysis by the Central Statistics Office that the number of new homes built in the State has been overstated for several years by almost 60pc is dismaying but not surprising to the many engaged in the property market seeking to purchase a home, but neither should sight be lost of the fact that there has been an increase of 75pc in the number of new homes made available in the last two years, to almost 14,500 new homes built last year. The property market here has been devastated since the economic and banking collapse 10 years ago and is only now starting to re-emerge in something approaching a functional manner. In that period, a generation of mostly young people have been shut out from the dream of owning their own homes, caught in a spiral of increasing asking prices due to limited supply and rapidly increasing rents which has made virtually impossible for many an ability to save a mortgage deposit under strict new Central Bank criteria. The CSO's "new dwelling completions" index, published for the first time last week, revealed that 53,578 homes were completed between 2011 and the end of 2017. That compares with previous government estimates, based on electricity connections, of 84,500. The figures indicate that, on average, fewer than 10,000 new homes were built annually over the last seven years. However, it is heartening that 2017 saw a significant increase in output with just under 14,500 new homes completed, up 46pc on the previous year and 75pc on the year before. The trend has continued into the first quarter of this year, with 3,500 homes completed, up 26pc on the same period last year. This indicates that a corner has been turned in the housing crisis, with the prediction now that supply will meet demand within two to three years. 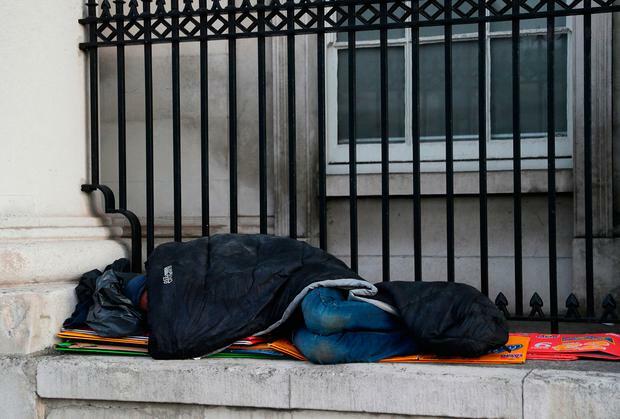 There was further related good news last week, with news that the pace of rent increases is slowing, up less than 2pc in the last six months, the numbers of homeless 'rough sleepers' down 40pc, and the numbers in emergency accommodation also levelling off. However, nothing should be taken for granted; nor should these relatively positive developments lessen the Government's focus on contending with the housing crisis, until that crisis can be deemed to be fully at an end and until stability is returned to the property market in general. That said, it would be wrong not to admit that, at last, there is light at the end of what has been a long and dark tunnel.